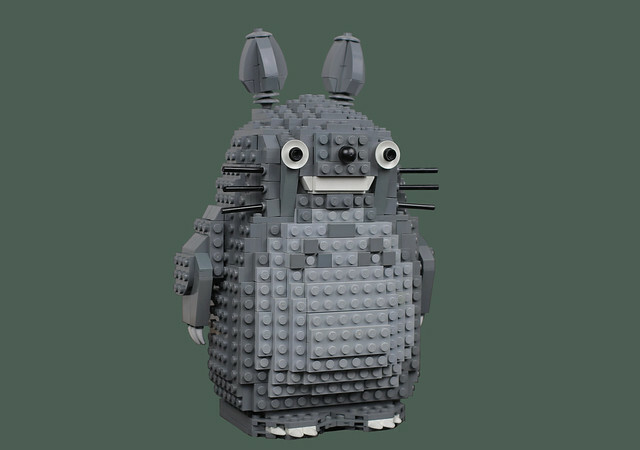 Everyone wants Totoro for a neighbor, he's so lovable and huggable. Not to disparage the neighbors I have, they're nice enough. But I'm guessing there's a lot of you out there who don't even know your neighbors. So ask yourself this, if you don't know your neighbors, how do you know that Totoro isn't living next door? Food for thought and a fantastic build by Eggy Pop.